According to the Citizen Observatory for the Institutionalization of Democracy (OCID) for the week of October 1 to 5, 2018 was the third consecutive week marked by an absence of plenary sessions that could not be achieved at the Grand Corps which sits permanently while the deputies have gone on vacation since 16 September after the ratification session of the Prime Minister Créant. The only attempt at a plenary session in the Senate took place on October 2, 2018. Senator Sildor Pierre François, who was replacing Senate President Joseph Lambert absent for health reasons, tried in vain to hold a meeting, but for lack of a quorum 15 Senators present out of 16 required the session could not be confirmed. 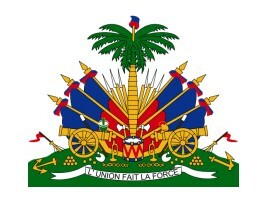 On their side, members of the Justice and Security Committee of the Senate proceeded on Wednesday 3 to the tabling of the final report on the draft penal code https://www.haitilibre.com/en/news-25725-haiti-news-zapping.html The vice-present of the Senate, which officially received the document, announces that the debates will be launched shortly in order to endow the country with a new penal code.